A.L.L. at the CEI Leadership Conference - A.L.L. insights, news, video and announcements from around the country's school districts. Administrators learn about on-site professional learning, summer institutes, workshops that build a school wide learning community & greater student success. The CEI Leadership Conference on July 21 was a big success. Carter Clawson, CEI Project Director, introduced A.L.L. 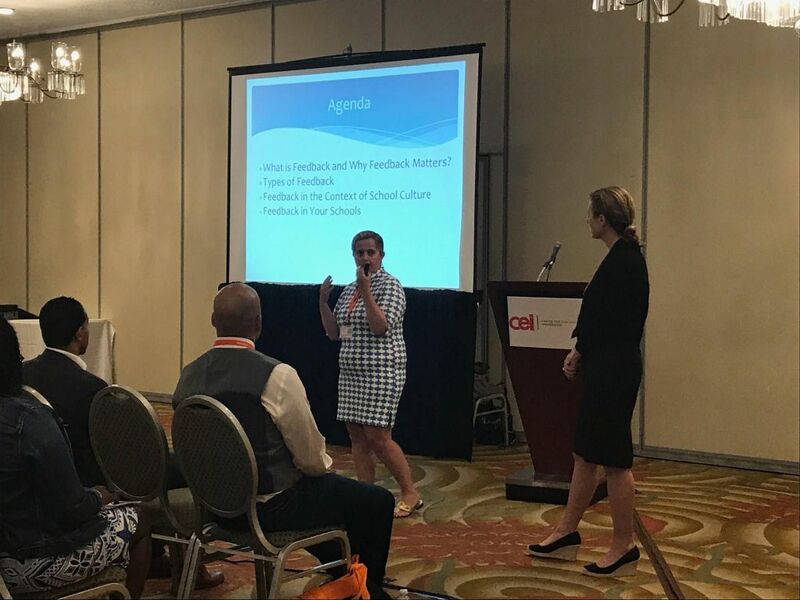 consultants Bebe Morrissey and Emily Levine, whose session “Feedback: a Leaders Perspective” was jam packed! Administrators who attended were eager to learn about on-site professional learning, summer institutes and workshops that build a school wide learning community resulting in greater student success.